Aircon Servicing Singapore: Why Is My Aircon Not Blowing Cold Air? Is your aircon working properly when you switch it on? Are you facing the problem of aircon not cold? Yes! Don't worry you are not alone. There are a number of people like you who are dealing with same trouble in Singapore. Singapore is a country known for its tropical climate. 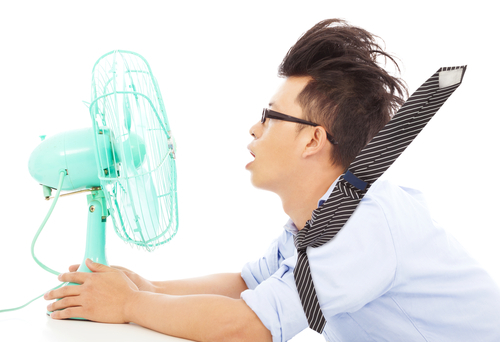 Having a non cooling aircon can make your life worse during the hot and sultry days. If you are thinking that there is a major fault in your air conditioner and it will take a lot of time and money to repair it, then you are somewhat wrong. So, you must know the actual reasons behind such situation. One of the top reasons of aircon not cold is the dirty filter. When the filter accumulates too much dirt, it will prevent your aircon from blowing cold air. A clean filter is very essential for it to function effectively and hence you need to clean it very often and replace it when required. So as a home owner, it is your duty to avail the help of an aircon service to clean your filters regularly. A clean filter is much more efficient and helps your air conditioner blow cool air to make the rooms cooler faster. The condenser is an essential component of the aircon. If it gets blocked, it will affect its ability to generate cold air. It might seem to be a trivial issue as you can remove the dirt or dust accumulated on the condenser easily. But the truth is you have to clean it once in a month without fail so that it works properly. If needed, you should call the professional service to clean the condenser. This is another reason why your aircon is not blowing cold air. When the condenser gets frozen, it stops blowing cold air. To avert this condition, it is essential that you opt for regular maintenance service. Having a non cooling aircon will affect all your activities during the day and night because it is not possible to live in Singapore for a moment without an aircon, especially during the summers. Thus, you should never attempt to fix this issue on your own as you might damage something. There are many professionals who will fix this issue without any delay. This is one of the major problems faced by those who live in Singapore. This is because most of the Singaporeans firmly believe that changing the refrigerant for petty reasons is not advisable and hence it will affect the functioning of your aircon. Consequently, you will not get cooler air from it. Some of you might be aware that evaporator is a major part of the aircon. If it gets blocked by dirt, then your air conditioner will not function properly. This must be cleaned every year and it is the best for you to opt for annual maintenance service as it will help you stay assured that your air con is in perfect condition and it will not create any problem during the dry humid days of Singapore. Thanks for sharing. It's nice to be able to receive educated information like this. I have bookmarked the website and will returned for more fresh subjects.